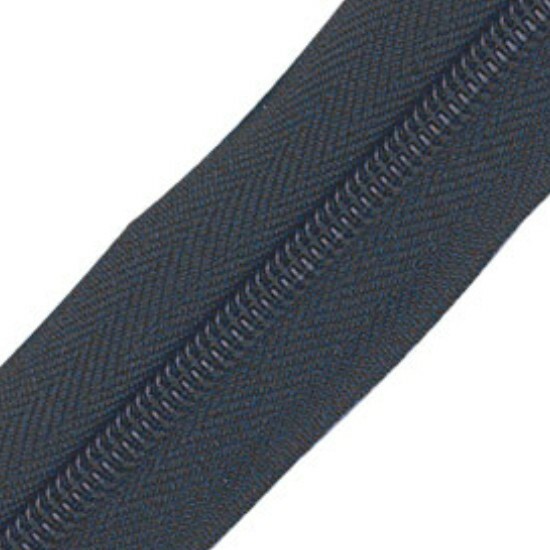 Ykk® Chain/Continuous Vislon® Zipper Chain. YKK® Canada uses the brand name Vislon® for its premium line of delrin zippers. Vislon® Zippers weather well in all climates, has a clean smooth appearance, is unaffected by moisture and does not support mildew. YKK® Brass Chain/Continuous Zipper is sturdy, attractive and handles humidity and cold easily. Ideal for outdoor use in garments, tops, bags, etc. Brass zippers have a traditional look and the Black tape coordinates with many fashions and styles. YKK® Aluminum Chain/Continuous zippers are lightweight, economical, has more than enough strength in the small castings, is rust resistant and works well in a wide range of temperatures and humidity conditions. Popular in tents, cushions, bags and shelters. YKK® Coil Chain/Continuous Zippers are never completely separated. Thus, they do not have finished ends. 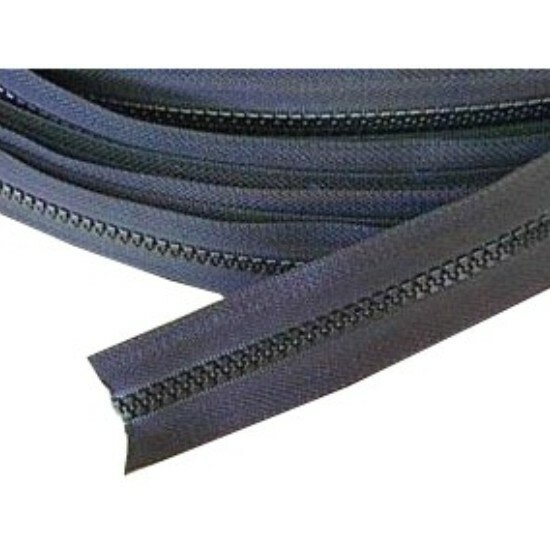 Coil Zippers are used for curved applications such as "U" zips in windows as they are easy to bend. Also great for cushions. 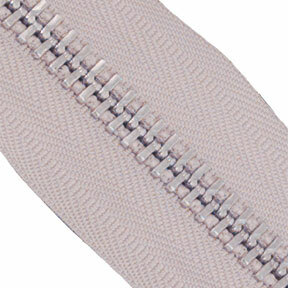 A coil zipper is flat on one side with the teeth on the other. The teeth look like a small, long coil sewn onto the zipper tape. Each tooth is intertwined to the next. Whether the weather is sunny or snowy, rainy or windy zippers are a part of our daily routines. They help seal in our body heat on a warm jacket, during the winter, or keep the bugs out of our tents during the summer. Zippers are an important part of lives and something we sometimes forget. When it comes time to replace the zipper on your tent or some outdoor equipment with a zipper like the soft top of a car or boat, you can not just buy any old zipper from the store like you would with an old pair of jeans. You need a high quality and durable zipper. Here at JT’s Outdoor Fabrics we provide a wide selection of do it yourself equipment and material for any repair job. From boats to patio furniture, you can find any tool or product you need to get the job done. We have offer the most durable outdoor zippers for anything that needs replacement. With a metal chain zipper the teeth of the zipper are made of a metal alloy. They are usually made of a metal that is resistant to corrosion and rust from exposure to the elements. The metal zippers that we provide customers are made of either aluminum or brass. These metals are both lightweight and sturdy so you get the most use out of your zip. With a molded plastic chain zipper the teeth are molded and attached directly to the tape of the zipper in production. A coil chain zipper or a nylon zipper is now one of the most widely used zipper type, due to its flexibility, simplicity, and durability. With these zippers the teeth are made of plastic which is sewn onto the zipper tape. 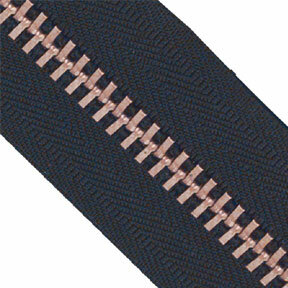 At this time JT’s Outdoor Fabrics offers zippers from the YKK brand exclusively. From our own personal experience using the zippers and in dealing with the brand, we have found that these zippers are the most durable, reliable, and suited to outside environments. We also offer mostly metal chain zippers as we have found that they are very durable and work well in most outdoor environments. We have chosen to provide our customers with the best products and zippers based on years of personal use and experience. Our commitment to our customers is to consistently offer incomparable customer interactions and unparalleled value. If you find the same product sold by any of our competitors, we will not only match that price, but beat it by 10%. If you, for any reason, are not satisfied with the product you purchased, let us know right away so we can quickly correct it for you! Our prices for chain zippers are also very reasonable, as you will be charged at the cost per foot based on the style and material type. With our variety styles and colours we will surely have a product to match your needs without sacrificing quality. We strive to offer our customers competitive prices and have been happily serving the Canadian outdoor and do it yourself community online since 2014. We are ready to help you today to provide you with the best quality chain zippers. There are many reasons to need an outdoor chain zipper, as they can be used as replacements on a variety of different products. If you have any questions about our zipper chains, or any other product, give us a call. Our knowledgeable and professional customer service team are familiar with all of our products and would be happy to discuss your needs and assist you with your purchase. We are sure that we will be able to find the best product to fit your outdoor fabric needs. JT’s is a solid brick and mortar business located in Barrie a 45 minute drive north from Toronto. Our doors opened to the public in October 2014 and ever since we have been providing excellent service to all of our customers both on and offline. We are a major distributor of textiles and upholstery supplies with a strong focus on those who like to “do it yourself”. We also promise to fill all received orders as quickly as possible. With our products, your know how and do it yourself attitude we will have your boat or car looking great in no time!